Looking for movie tickets? 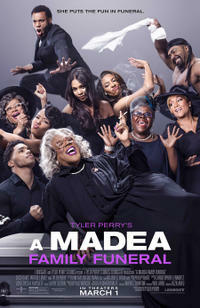 Enter your location to see which movie theaters are playing Tyler Perry's A Madea Family Funeral near you. An elderly woman who keeps dark secrets? Or, an elderly woman who keeps no secrets and pulls no punches?! Will you see 'Greta' or 'Tyler Perry's A Madea Family Funeral' in theaters this weekend? Mable Simmons, a.k.a. 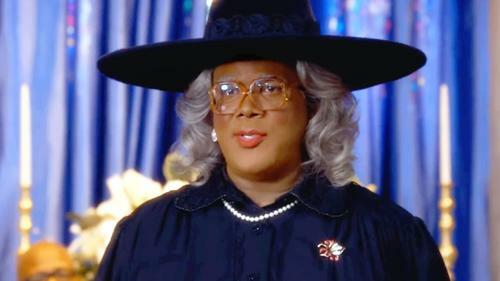 Madea, joins Fandango to answer all the fans' most pressing questions, honor some promised fan giveaways, and reveal why she and director Tyler Perry just don't get along!